A Miami police officer has been injured in a crash that happened on the Dolphin Expressway early Tuesday morning. According to officials, the veteran officer on the Miami Police Force was riding westbound on his motorcycle when he crashed while exiting at NW 72nd Avenue. Miami police say that the cause of the accident was due to the officer sliding on road debris, causing him to spill his motorcycle. The injured officer was on-duty at the time of the accident and it is unclear if he was escorting someone or on his way to work. The officer, whose name has not yet been released, has suffered injuries to his back and leg in the crash. He was transferred to Jackson Memorial Hospital. The officer is currently listed in good condition. When you set out for work each day, you never have any sort of idea that you may end up being hurt on the job. Most accidents involving electric shock or even burns tend to happen in workplace settings. Ideally, workman’s compensation will take care of the medical treatment for these types of injuries, but the expense of rehab, a reduced wage for a worker who cannot come back to work right away. Sometimes employers will do anything to avoid having to pay worker’s compensation claims or a claim can be denied. If you have been injured on the job or a loved one has suffered from a workplace injury, give our offices a call. 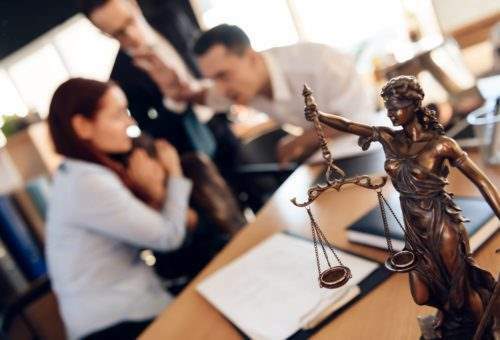 An attorney will take the time to go over the details of your case and even act as a liaison between you and insurance companies and workman’s compensation to ensure that you receive fair treatment. We have years of experience in the Miami-Dade area successfully representing our clients. Give us a call and speak with an attorney today. We can help.